Offer your patrons something out of the ordinary with this John F. Martin & Sons 6 lb. jellied pork souse! 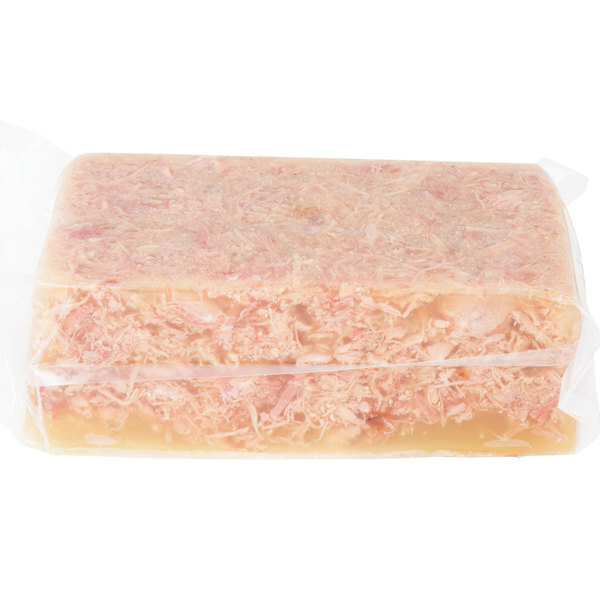 This souse is perfect for appetizers and charcuterie boards. 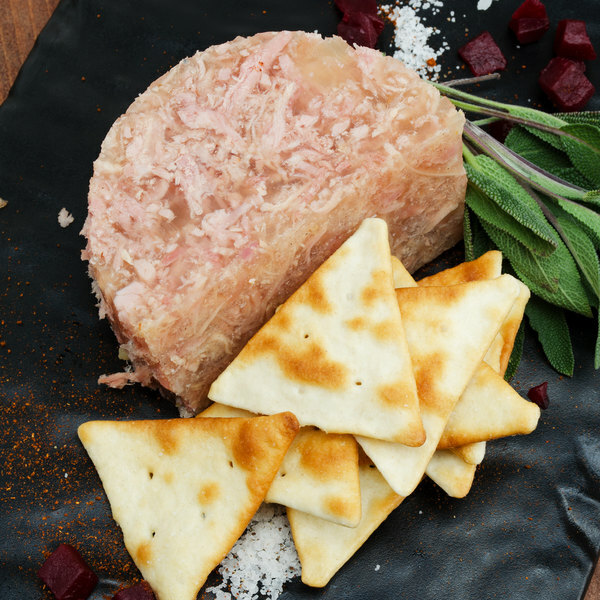 Made with pork tongue, cured and bound with gelatin, then pickled with vinegar, this headcheese makes for a savory addition to any charcuterie board. Serve it cold or room temperature. Pair it with cheese and crackers for a delicious offering. Its lush, gelatin base gives it a silky, smooth texture, that is also great for serving on sandwiches, complemented by creamy cheeses and crisp lettuce. Headcheese dates back to the middle ages, when it was seen as a peasant food. Over the intervening centuries, charcuteriers tweaked the recipe and turned it into a gourmet favorite. Today, it is a popular component to charcuterie boards, served alongside cheese, crackers, and fresh fruit. 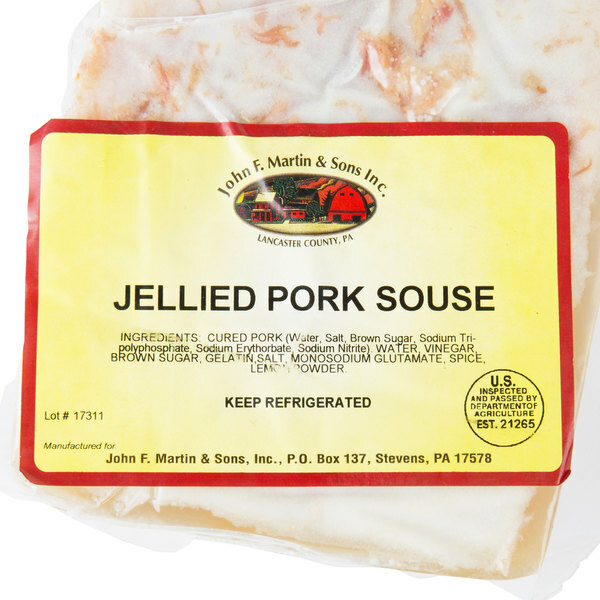 Now, a delectable PA Dutch staple that delights customers looking for an authentic traditional menu option, this pork souse is just what your establishment needs!